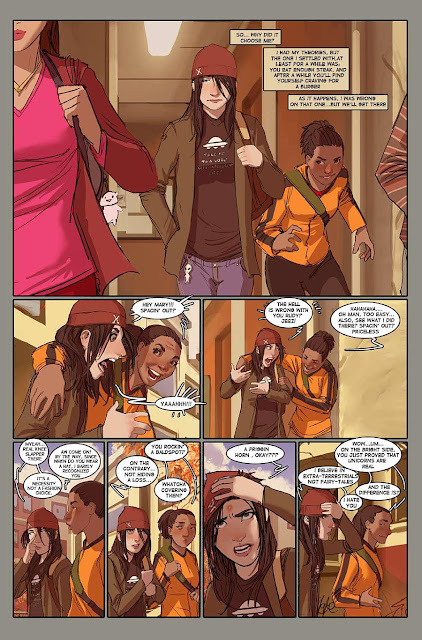 SWITCH #1 Review | Warped Factor - Words in the Key of Geek. Gail Williams is making the switch. 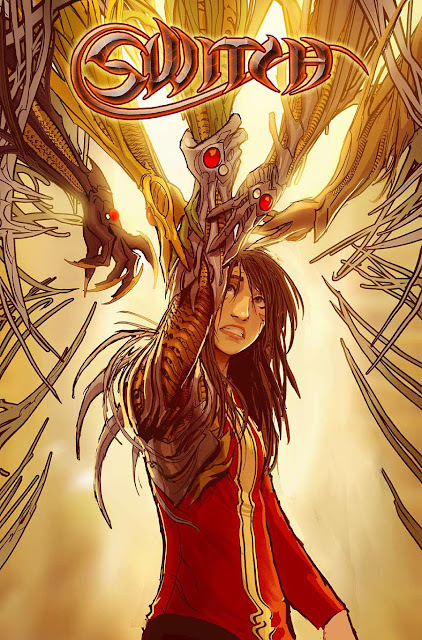 I have been a big fan of Witchblade from Top Cow for years and years, loved Sarah Pezzini from the off. That’s why my geocaching name is Pezzini - yes scrap away the geek and you’ll just find another level of geek. 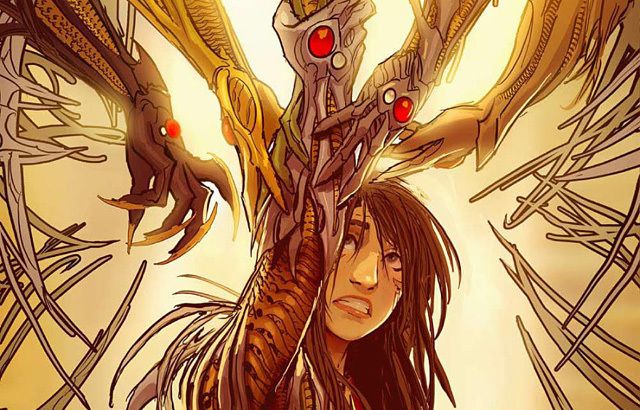 Anyway, sadly, Witchblade finished this month. October 2105. Sad. But Switch #1 came out. Happy! Happy! 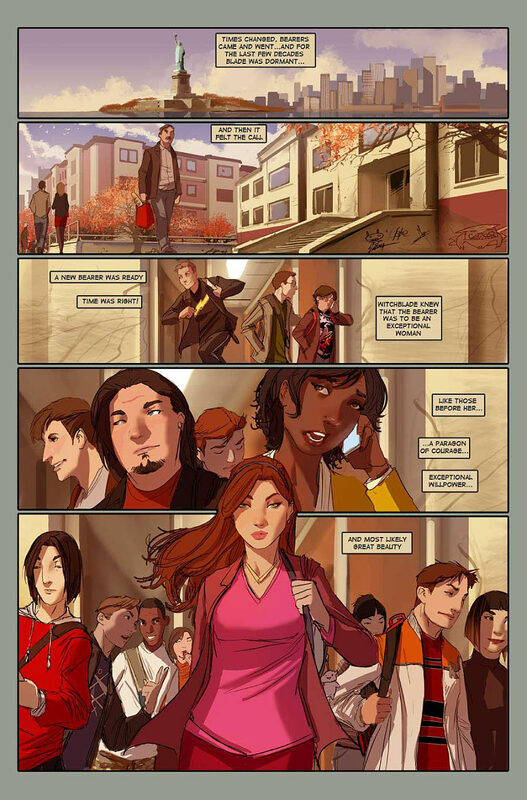 Switch is like “Witchblade: The Next Generation”, oh I can feel the Trekkies squealing as I type. This first issue reveals the origins of the Witchblade, that its father is The Darkness (another great comic) and its mother is The Angelus (no not the Buffy and Angel one, and she did get her own comic), and shows us Una, the first bearer. It goes on to tell how the blade selects those who will bear it. Well I can’t possibility explain it better than the comic book so here are pages 5 and 6. As the story moves on we find out more and more about Mary (the girl in the beany) and how she just happens to know Tony Estacado - Jackie’s boy one presumes (Jackie Estacado having been the last incarnation of The Darkness). Now, right now, I wouldn’t say he’d quite inherited his father’s brooding good looks, but he’s about sixteen, so there’s time yet. Tony has all sorts of problems of his own - after all he is going to come into his own inheritance in six years. Obviously this is the first issue so there is a lot of set-up going on here, not least of which is how Mary and the Blade meet. I won’t ruin it, but it’s a great moment when typical teen sister does what comes naturally, however costly. There are a number of things I love about this new comic, not least of which is the slight tongue-in-cheek tone. 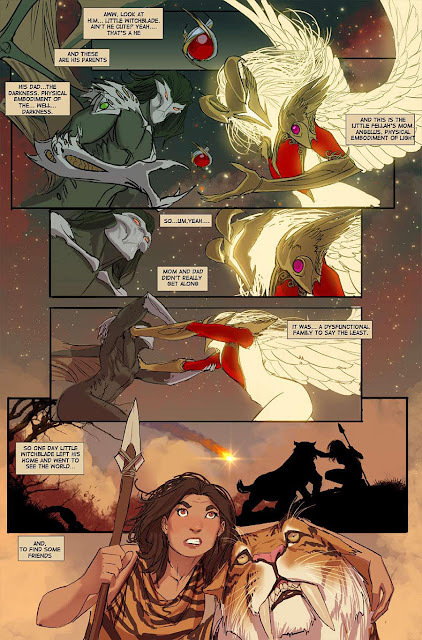 I always enjoyed the writing of Witchblade and this looks like it’s going to take over nicely. Another echo of its predecessor is in the drawing. Micheal Turner, may he rest in peace, drew the original series, and this one has taken the feel of those drawings and translated them beautifully. The line work is simple, effective and not overdone, but the colour work is just fantastic, bringing life to the drawings. The page of the Angelus is just gorgeous (sadly there’s no preview file for that one). There was one other thing I loved about “Witchblade” - Ian Nottingham. And it looks like he might be appearing again - Woohoo. Right okay, <cough> sorry about that girly moment, but, well. Anyway, Switch looks like it’s going to be a great series and I’m signing up for every issue. Definite five out of five for me.